4 Bedroom Detached House For Sale in Glasgow for Offers Over £495,000. 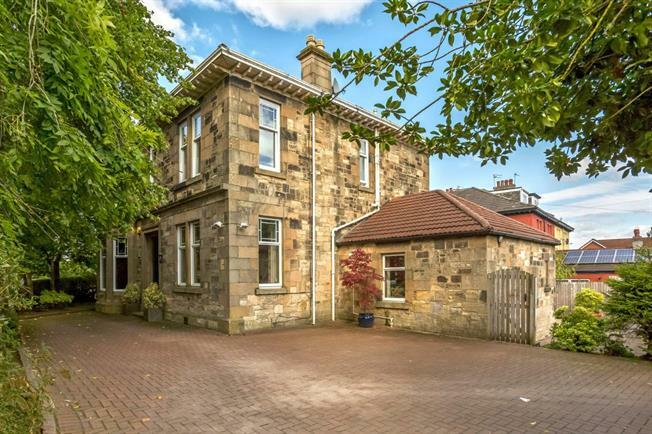 An impressive Traditional detached sandstone villa located within the ever popular Maryhill Park district of Glasgows West End. The property retains a wealth of period features with well proportioned accommodation comprising reception hallway, beautiful lounge, period dining room, sitting room/family room leading directly to semi open plan dining kitchen, master bedroom with ensuite, four additional double bedrooms and family bathroom. In addition the property has gas central heating, stylish dcor, quality flooring and a wonderful private enclosed garden with feature timber decked area and large monoblocked driveway with space for a number of cars. Local amenities can be found just minutes from the property including a good range of shops in addition Maryhill train station provides an excellent train service to all destinations. All of westend's amenities can be found nearby on Great Western Road and Byres road.